The Five in a Row Curriculum uses a series of books in unit study format to present and reinforce material in each lesson. The curriculum covers both before “Five in a Row” and “Beyond Five in a Row.” Everything is covered art, language arts, math and even bible study is covered in this extensive and complete curriculum. 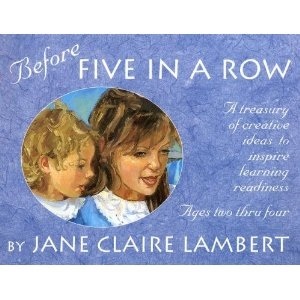 Before Five in a Row is for preschool age, Five in a Row is geared for children up to ages 8 while Beyond Five in a Row is designed for ages 8-12. A new addition above and beyond is for children over the age of 12. * The program is designed to allow to you be able to teach with only a few minutes of preparation time. * There are a number of activities for each of the units and they are broken up in easy to learn and easy to teach lessons. In fact, the same story can teach multiple lessons. * It provides assistance for visual, auditory and kinesthetic learners. * The teachers guide has everything you need to be prepared including the background information, facts, figures and suggestions for activities to supplement the lesson. * Each story can be used for multiple lessons. You can break the story down, the guide helps you, into the various elements and then you simple go over and teach each element on one day during the week. *You can teach history, geography, culture and even math directly from a single story. You can also look at how the story was written and the various elements in that story as part of language arts. * The books are not included in the curriculum. You actually have to locate these books either from your local library or you have to purchase the books yourself. * There is also the fact that you are using the same story during the week to cover a wide range of lessons. While this may work for some people it may not work well for others. Every child learns a little differently and this has proven to work well with others but equally there may create difficulty especially if the child in question needs a variety of materials in order to keep them engaged in the lesson. There are benefits and disadvantages to any curriculum. The important thing is that you choose something that works for you as a parent and teacher and works for your children and the way that they learn best. It is possible to go through several curriculum options before finding one that works well for you and for your family. Five in a Row, however, might be a very good place to start. Have You Used the Five in a Row Homeschool Curriculum?